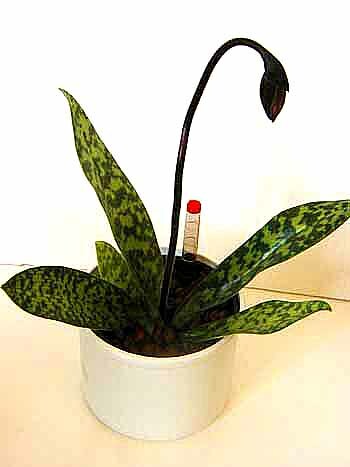 Repotting Paphiopedilum? 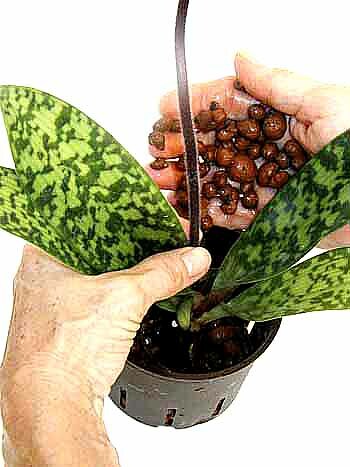 Transplanting Paphiopedilum into Hydroponics is a natural transition for this type of orchid. Unlike most orchids which live in the wind and bright light of the tree tops, Paphiopedilum live in the quiet shade of the forest floor. Their roots ramble through the moist humus which never really dries out. Our Hydroponic System simulates these conditions perfectly! Paphs love Hydroponics. 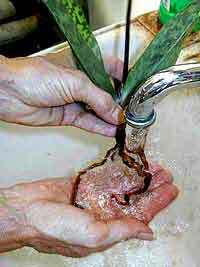 Paphiopedilums are one of the easiest orchids to transfer to Hydroponics. As with any orchid. the best time for transplanting is after all the blooms have faded. 2. 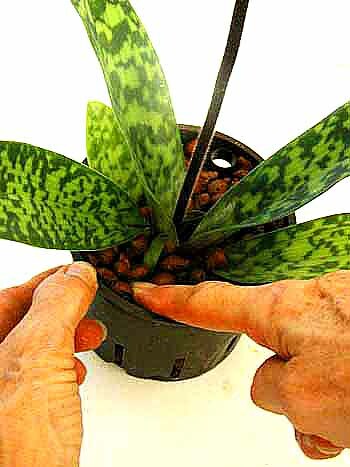 Carefully remove the plant from its grow pot. 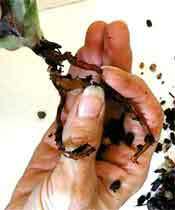 Squeezing sides of grow pot several times will help loosen potting mix. 3. 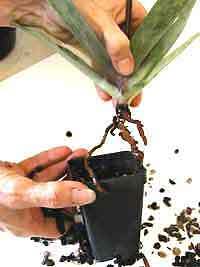 Carefully remove all the old potting mix from the roots. Be careful - try not to break any roots. Paphiopedilum roots are long and hairy - they look like spider legs. 4. Wash roots thoroughly. Notice Paph's don't have a complex root system. So don't worry if your plant doesn't have many roots. 5. Before adding pebbles, carefully arrange roots around base of culture pot. Postion plant and fill culture pot with pebbles. Plant slightly deeper than with traditional mixes for better stability. If plant seems loose (or ant roots are showing), dump out everything and start over. 6. 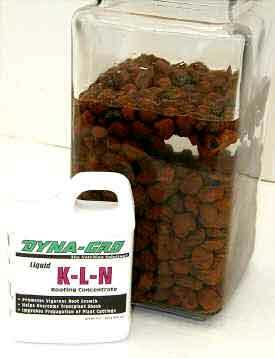 Firmly pack down pebbles to eliminate any air gaps.